Obituary for Katie Lee (Green) Thomas | Carl M Williams Funeral Directors, Inc.
Ms. Katie Lee Green Thomas was born on December 25, 1945 in Montgomery County, Georgia to the late Abron and Claudia B. Green. The family later moved to Vidalia, Georgia where Katie received her education. Ms. Thomas passed on September 5, 2018. Funeral service will be held on Saturday September 15, 2018 at 11 a.m. in our chapel. The family will receive friends at 10:00A.M. on the day of the service. Asserting her independence that her mother taught her, Katie moved to Atlanta, Georgia, attained employment, and established her own residence. Katie was a dependable, consistent, and hard worker wherever she was employed. Her crocheting was prolific and varied—slippers, dogs, hats, and spreads! Katie’s crocheting decorated the homes of all relatives and friends. 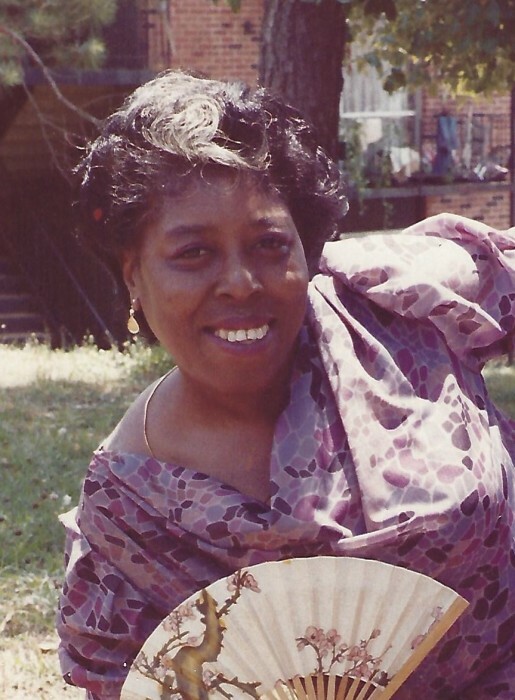 She loved her hometown of Vidalia, Georgia; thus, her favorite expeditions were “going home” where she walked the familiar paths, visiting and instructing her sister—cousins and friends. Katie loved children and was an example and mentor for many. Shanika was Momma Katie’s favorite child. Zalika and Fred were her favorite grandchildren. She is loved by many because she had a genuine, open heart. There is a void in our family. We are comforted and consoled because we know that our Katie now resides in heaven with our mom, Claudia B.
Katie is survived by her sisters, Vero Ernestine Trobridge, Nancy Annette Green, and Velvia Jo Mitchell; her brother, Henry Green (Shirley); her nieces, Regina, Natashia, Baby Ava Grace, Imani, and Madison; her nephews, Dewell, Ronald, and Dominic; her Aunt Dorothy George; and many beloved relatives, cousins, and friends.